American Fusion – Twilight of the Gods? The American fusion effort needs help to defend against planned budgetary destruction. “Bigger Contribution to ITER Erodes Domestic Fusion Program” is the headline in this week’s Science Magazine report by Adrian Cho. It refers to the 2013 budget decisions at the political level in the US. We have discussed Science magazine before; its section on current news is outstanding. Maybe the best chronicle of the American decline in front-line science capabilities, both scientific exploration and technical development. LastTechAge has discussed fusion before, and here is my standard disclosure: I am a physicist who at one time worked in the fusion energy program at General Atomics. We are on the edge of a deep drop-off, but it may be hard to step back and see where the problem is. After all, the DOE Fusion division got 99% of its 2013 request for funds. Stay with me, this budget stuff does get interesting. The diagram shows what looks like a lot of money flowing into fusion programs but tiny streams into the US labs and into ITER. This is because the amount to flow into both are insufficient for either one; we are threatened with the death of both ventures. The problem is that, to stay in play, we must pay larger ‘dues’ to the international ITER ignition machine being built in France. The ITER support fund rose by 43% to $150M while support for American fusion labs is decreased “a little” to $248M in 2013 dollars. ITER costs have gone up and our actual bill in 2013 or 14 will be close to $300M (a 2× shortfall). We will feel push-back from the financially stressed rest of the world. And soon. The US labs were previously at the precipice edge of funding; massive reductions in capability must follow any new reduction. And quickly. ITER (pronounced ‘eater’ in the European way) is the next necessary step in fusion research. 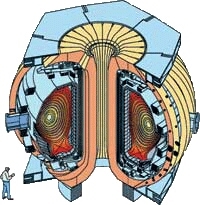 The ITER design was proposed in late 1988, but was not seriously considered until the 2000s. It is very expensive, but almost certainly will produce an ignited plasma. Without ITER, there is really no reason to continue with fusion research. ITER is very similar to the INTOR proposal of the 1980s which was an outgrowth of many earlier proposals. This step is needed and will almost certainly work as planned. Why were neither INTOR nor ITER not funded at that time? Tough question – both then and now. 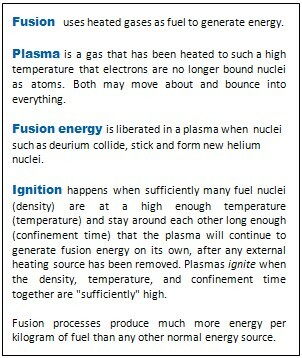 The US has been an inconstant supporter of fusion power. We had important wars to fund and fortunes to make; our power leaders were not very interested. Due to the massive postponements the machine is more expensive than it used to be. 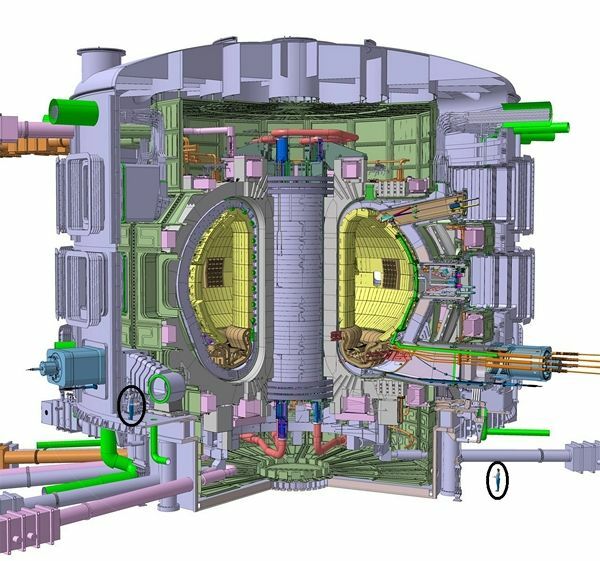 If we were to owe the ITER program our entire annual budget for fusion research, will we stay on the course? The U.S. fusion labs are in deep trouble and every lab currently operating will feel the hit, some more than others. Alcator C-mod, will close. C-Mod is located at the M.I.T. Plasma Science and Fusion Center (PSFC) This is the only American high magnetic field fusion study facility and, as associated with the university, is a premier training site for the next generation of scientists. The machine is small due to its huge magnetic field strength. Its goal is to find ways to simplify and reduce the cost of the ITER follow-on. Miklos Pokolab, the PSFC Director, said this that will eliminate 100 fusion staff members and 30 graduate students. Its loss will be a heavy blow to the American effort. Pictures, courtesy of MIT website. NSTX upgrade will be delayed. 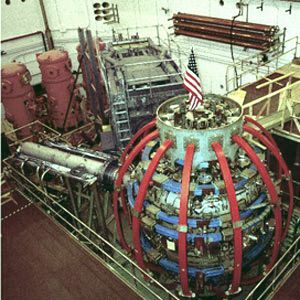 The National Spherical Torus Experiment is a government facility operated by the Princeton Plasma Physics Laboratory (PPPL). PPPL is the site where plasma experimentation was born. The ST machine will stop operating within the next several weeks, so that it can undergo a major upgrade for enhanced performance. A spherical tokamak (shaped like an ‘apple with an extremely thin core’) avoids many of the expensive problems of traditional tokamaks. This system was proposed 30 years ago and has been operational (with many modifications and upgrades) since the late 1990s. It was born as an attempt to demonstrate feasible containment and heating in a device much smaller and cheaper than a usual tokamak. There are now an international community of ST-like machines, each looking at a piece of the main problem. 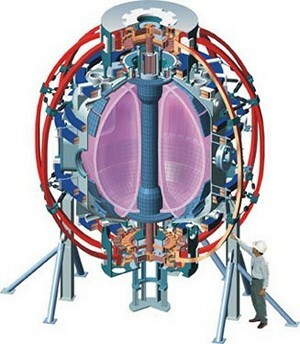 Success of this concept would have huge leverage on the power generating follow-on to ITER. Stewart Prager, PPPL Director, reports that they will have to eliminate 100 staff positions. The post-upgrade restart will be delayed by at least 6 months. In light of the horrible funding situation, I fear this may be optimistic. If our ITER dues match total DOE fusion budget, this extraordinarily far sighted experiment may be forced to close. DIII-D will operate on a reduced annual schedule. This is the workhorse of American fusion experiments. It is the device that demonstrated the superiority of D shaped plasmas, well before its 1986 upgrade to the ‘-D’ modification. Even so, DIII-D will be the U.S.’s only operating general magnetic fusion facility in 2013. DIII-D is a user facility, where scientists around the nation and the world come to conduct tests with strong implications for ITER success. It is smaller than the European JET facility but highly productive. Images from the DIII facility are also shown on the LastTechAge header strip. 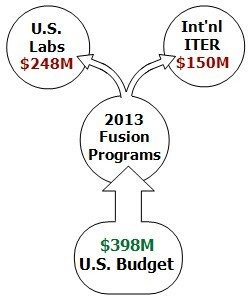 Is the new budget a final effort to bury fusion? We no longer have the large dedicated set of American labs functioning as world leaders in fusion technology. At one time we had many; one by one most experimental labs have been dismantled. But the promise is still real. One short-term budget point proposed by DOE – send our fusion experts to work at facilities in other countries. I am sure that, if we asked real nice (and paid), China would let our physicists contribute to their soon-to-be-outstanding laboratories. But, sending people offshore is not a way to long term success. We must not just offshore our expertize. Martin Greenwald (MIT physicist and Chair of DOE’s Fusion Energy Sciences Advisory Committee) says we must keep on the front-line of fusion studies, do cutting edge experiments and train new researchers, “otherwise, you’re just building a piece of equipment for other people to use.” I think ‘piece of equipment’ means ITER and ‘other people’ means China, Japan, India, the EU, Brazil, Canada, … you know, those upcoming countries that fully intend to be part of future fusion energy supply. 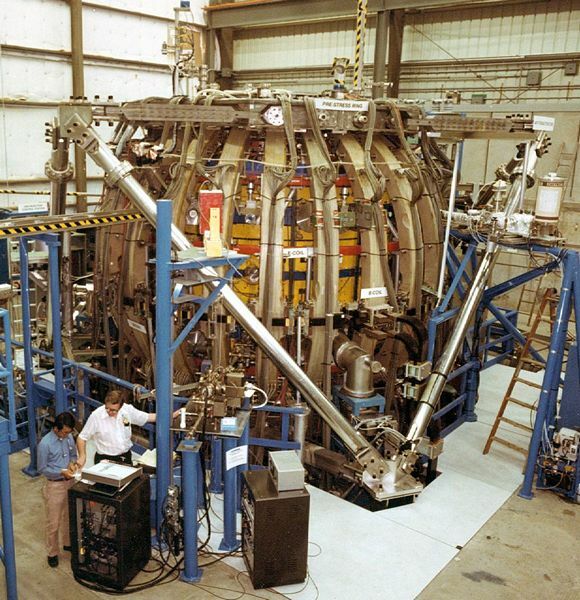 Fusion energy research has undergone systematic and steep reductions during the last 30 years. If you follow LastTechAge posts at all, you will know that in our Inequality series, we established that a dramatic process started just a bit more than 30 years ago. Income for the top earning 0.01% of the population (our ultras) suddenly expanded by a factor of 5 (400% growth), the Process has forced the rest of us to loose income share. Fusion studies is one of the future directed projects hurt early in those 30 years while the Process operated. We knew something strange was happening but could not identify any ‘who’ or ‘why.’ Personally, I think it reasonable to see these time associations as correlated events. We currently seem to be at the Process‘s coup de grâse point for fusion energy – the final step to disintegrate real American participation in fusion technology. http://www.fusionfuture.org/ is by the MIT graduate students making active effort to protect their dreams, more importantly, to protect America’s future as one of the leaders of human society. …try to keep energy available by fracking for oil, tar sand liquids, and natural gas, destroying continental water storage and food producing croplands. …end up with a dual level society – rich elite with access to all the life extending drugs and techniques, and a massively large population in poverty that provide cheap labor but with high infant mortality, and short lifespans. This entry was posted in Technology and tagged Alcator C-mod, DIII-D, Fusion Energy Budget, GA, NSTX, PPPL, Science Magazine, Spherial Tokamak, Spherical Torus. Bookmark the permalink. 3 Responses to American Fusion – Twilight of the Gods? Remember that for a time all hard science fiction novels (James Hogan a good example) assumed that we would have fusion power by now? It seemed very reasonable back in the 80s. Thanks for the solid coverage of our current budget problems. I am a graduate student at MIT currently doing my research work on Alcator C-Mod – so obviously this issue affects me greatly. 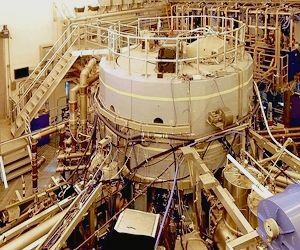 However, the proposed closure of Alcator C-Mod in particular will have a serious negative impact on fusion research programs both in the US and worldwide. Naturally, we are fighting the budget decision – students and researchers from Alcator have set up an independent site at fusionfuture.org (we’re also on facebook) with general information about fusion research, MIT’s fusion programs, and how we can turn this decision around. (1) Alcator is crucial for current physics research: In many ways, Alcator C-Mod is unique in the world in its capabilities. We operate at by far the highest magnetic fields, and are currently the only device regularly operating at the same thermal pressures targeted for ITER. Our hardware is, in many ways, a “mini-ITER,” making C-Mod uniquely suited for a number of important physics goals leading up to ITER operation. Just to name a few: disruption prediction and mitigation (preventing large plasma events that could seriously damage ITER), plasma-edge heat transport, RF heating capabilities, divertor design (the reactor component which acts as a sort of “exhaust” for the plasma). Several operating regimes under consideration for ITER were pioneered (and continue to be an active area of research) on C-Mod. 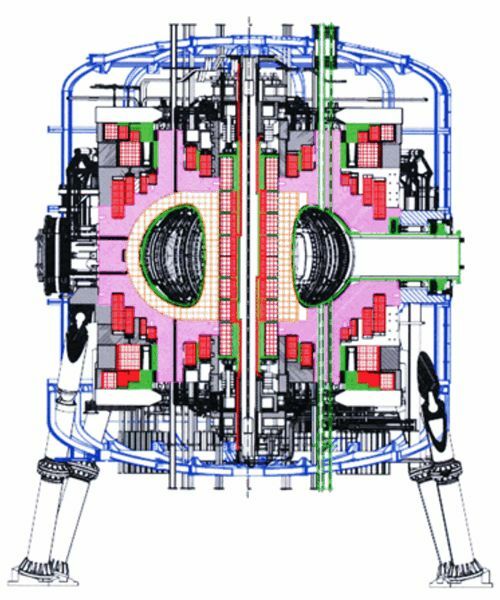 The loss of experimental facilities on Alcator would be a huge blow to ITER planning and development, to say nothing of contributions made on Alcator to broader fusion physics goals. (2) Alcator is crucial for education: As you noted above, Alcator is home to over thirty graduate students from MIT’s nuclear engineering, physics, and electrical engineering departments (as well as a number of undergraduate researchers – I myself started work on Alcator as an undergrad, and stayed on at MIT for my PhD precisely to work there). We are currently the US’s largest and best source of trained researchers with experience operating large, ITER-relevant machines – the graduate program at Princeton on NSTX is substantially smaller, and DIII-D (though it does host some students from UCSD and elsewhere) is not at an academic institution and not geared towards student education. At Alcator, on the other hand, students are integral to the operation of the device. While increased funding to ITER is certainly good, cutting Alcator to get that funding is simply hamstringing our ability to make our *real* contribution to ITER – trained researchers to staff it. After all, it is today’s grad students who will be operating ITER and leading the US’s fusion programs into the next stage, developing a demonstration power plant. (3) Alcator, along with other US facilities, is crucial for our technical capacity: The current budget plan assumes US researchers will gear towards ITER analysis and collaboration work on foreign machines. While this is certainly good for international physics collaboration (though the loss of domestic facilities would distinctly leave US researchers playing second fiddle to other countries’ programs) the loss of our domestic programs would throw away practical technical and engineering experience – wrench-turning, nuts-and-bolts knowledge of building these machines. We have a half-century of hard-won technical expertise building fusion devices, and that knowledge would be essential to the next steps beyond ITER for developing fusion power plants. It is that same knowledge that the current budget proposals plan to ship overseas for free, and once it’s gone it doesn’t really come back. We’ve already invested in ITER and other fusion research programs – why throw away any ability we have to actually make a return on that investment? Basically, we’re deciding right now whether the US wants to be selling fusion power plants, or buying them. We’re not done with this fight yet – as I said, fusionfuture.org has more information about research on Alcator C-Mod, and how we can fight this decision (including a portal to contact congressional representatives). We’ve already received overwhelming support from the fusion research community in the US and overseas, but this issue needs congressional attention as well. The loss of such essential capabilities for US fusion research for the sake of the budgetary whipping-boy status of US research funding… well, like I said, we’re not giving up on this. Thanks for the great post. The cuts to the domestic fusion program are tragic, but the good news is that we still have time to convince congress to keep our domestic program strong. At http://www.fusionfuture.org you can submit letters to your representatives. Please take the time to do so.